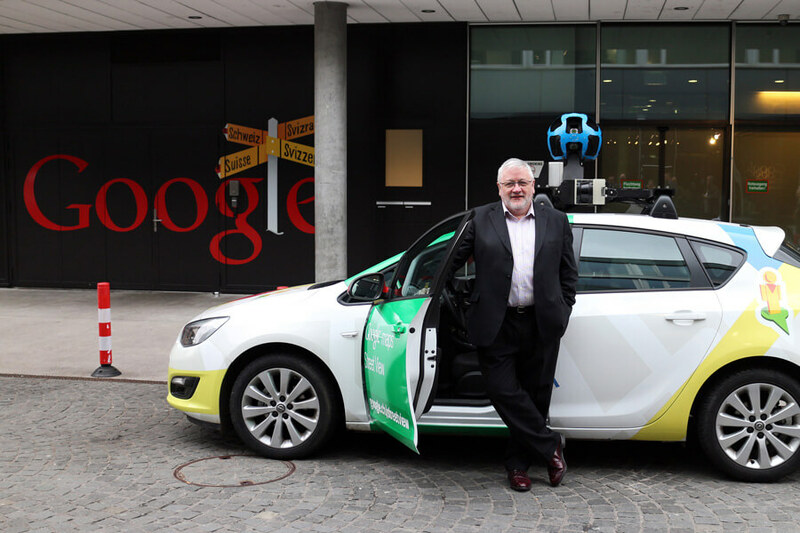 Oliver with one of the latest generation of cars that carry out Google Street View mapping. 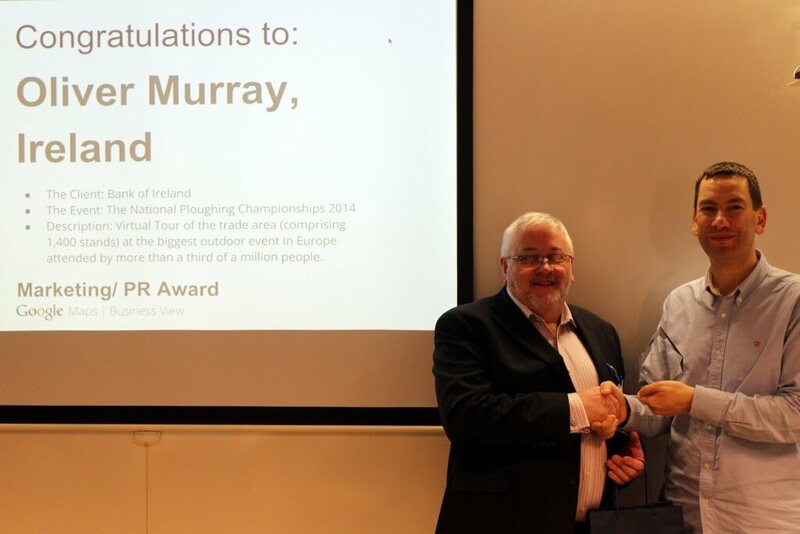 Oliver receives the Google European Marketing / PR Award. 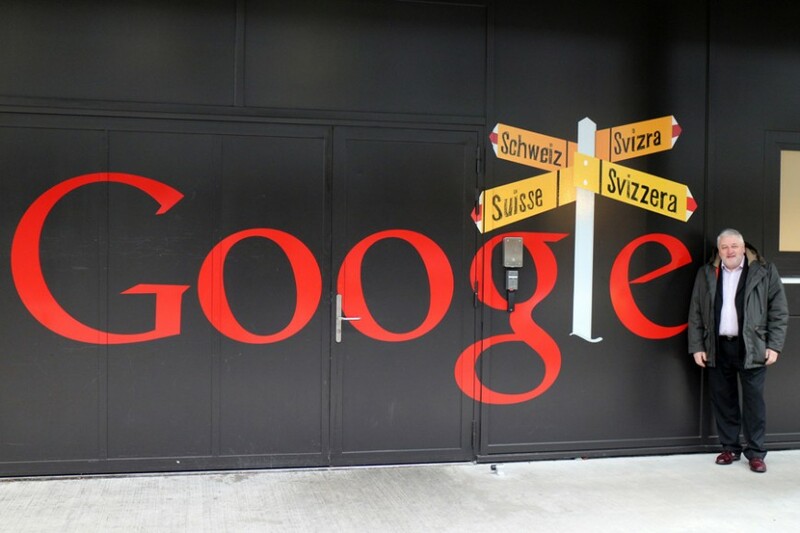 Oliver Murray of Contemporary photography became the first Irish winner of a Google European Award when he attended the awards ceremony in Googleplex, the companies Headquarters in Zurich recently. The award was given in recognition of the work carried out by Oliver and his team when they created a virtual tour of the National Ploughing Championships for Bank of Ireland. The Bank of Ireland tour was the first time an event of this scale was recorded for Google in Europe. Most of the virtual tours that Contemporary Photography create are for businesses under the Google Business View and Google Hotel View programmes. 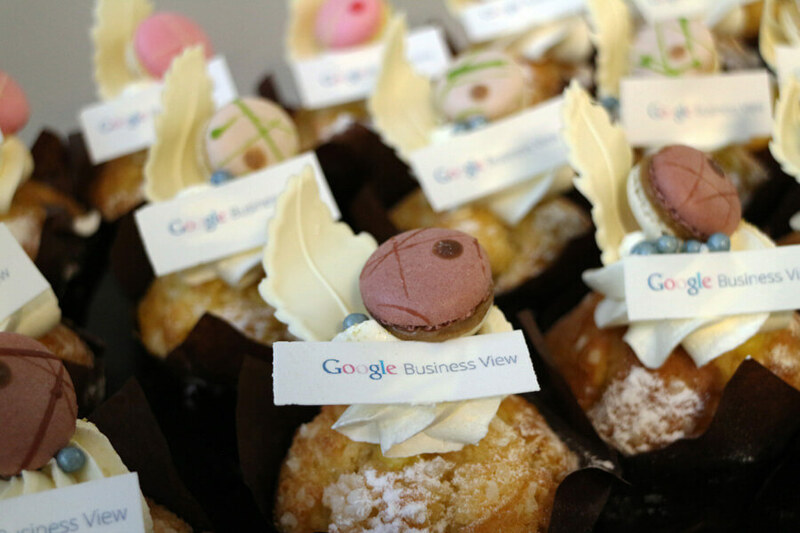 Google Business View allows a business to invite customers inside with a premium 360º virtual tour of their premises. The virtual tour shows upon Google Search, Google Maps, Google Street View and Google+. The premium quality photo shoots work around the schedule of the business, and the results are live on Google in just a few weeks. It’s simple, fast and affordable, with a single up-front payment and no ongoing fees. Oliver was also honoured to be asked to make a presentation at the awards ceremony. 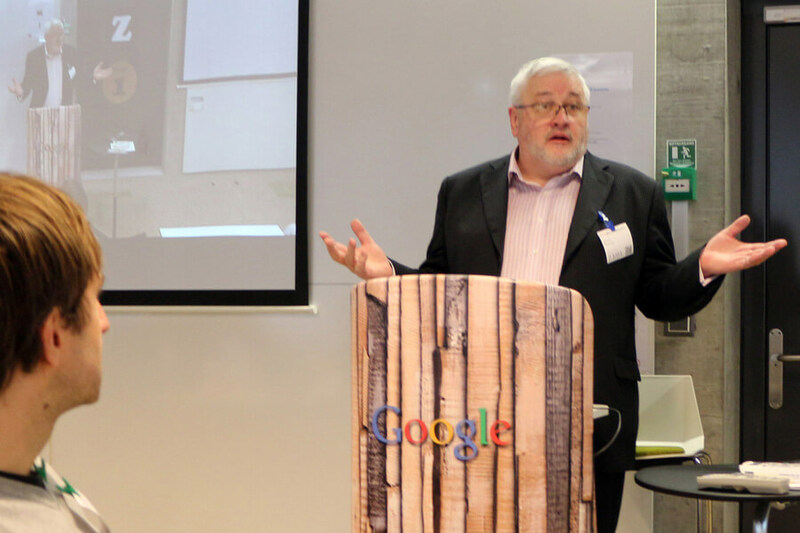 Oliver Murray addresses the Annual European Google Awards Ceremony in Zurich, Switzerland.